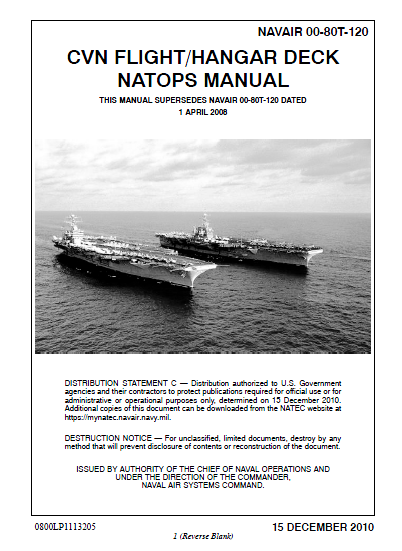 Both manuals were obtained from publicly accessible URLs on the Navy’s own website. 1. Control and monitoring of aircraft aboard and in the ship’s VFR launch, recovery and starboard holding patterns. 2. Movement and placement of aircraft on the flight deck, on aircraft elevators, and on the hangar deck. 3. Launch and recovery of aircraft. 4. Aircraft crash and salvage, fire fighting, and rescue. 5. Fueling, loading, and maintenance of aircraft. 6. Aircraft security, both during and after flight quarters. The primary mission of the Air Department is to safely and expeditiously execute the air plan. Through rapid launch and recovery evolutions, flight deck crews respot to facilitate refueling and aircraft maintenance in preparation for the next launch. Maintaining qualified operators, in sufficient numbers, to accomplish these and other missions including crash and salvage operations, equipment repairs, and all postflight quarters night requirements are included. 1. Air department personnel, V-1 to V-5 divisions. 2. Air Wing and squadron personnel, including aircrews; LSOs; aircraft handling personnel; aircraft maintenance, servicing, and repair personnel; weapons loading and arming personnel; and mission support personnel. 3. Ship’s company personnel, including aviation ordnance and weapons personnel, members of working parties, and other personnel transiting the flight and hangar deck areas during the course of daily operations. 4. Civil Service and contract personnel, including aircraft maintenance, servicing, repair, weapons loading and arming personnel, and any support personnel. All persons who work or venture onto the aircraft elevators, flight deck, and/or hangar deck shall be familiar with the general safety precautions and procedures contained in this manual. 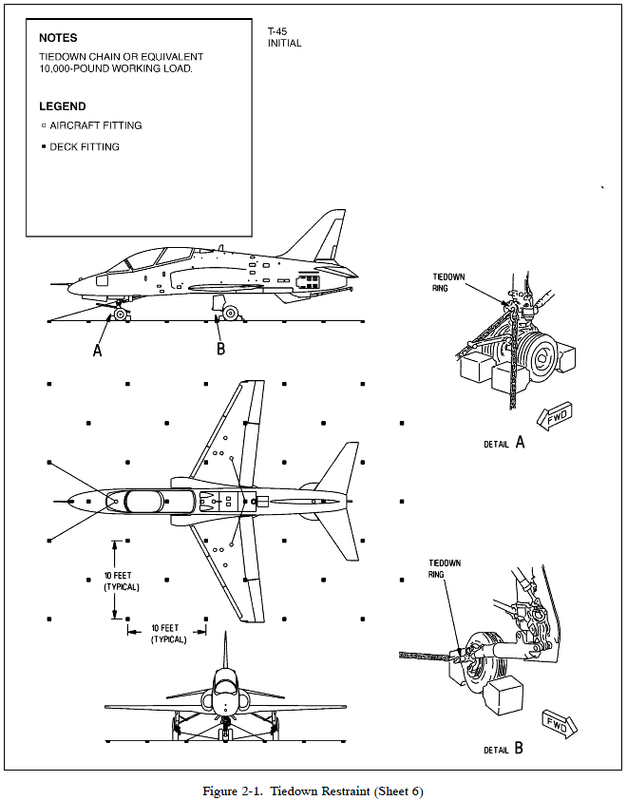 In addition, Air Department, Air Wing, squadron, and ship’s company personnel with responsibilities for the operation and support of aircraft should be thoroughly familiar with the detailed requirements and procedures pertinent to their own responsibilities contained within this and the “Other Relevant Publications” listed below.